Jang "Moon" Jae Ho is a former legendary Night Elf player in Warcraft III, and a Zerg player in Starcraft II. He is a five-time Warcraft III World Champion and has won three televised national South-Korean leagues as well as four seasons of MBCGame's World War. In Warcraft III, Moon was often seen using strategies that later set the benchmark for many Night Elf players and was nicknamed the "5th Race". He has played and won more televised WarCraft III games than any other WarCraft III player. On Starcraft II's release, he competed in major events for both Starcraft II and Warcraft III. 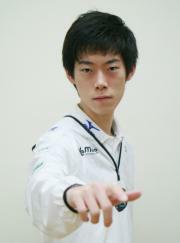 Moon eventually switched to Starcraft II full-time in January 2012 when he joined Fnatic. Moon is one of the WarCraft III players featured in the documentary film "Beyond the Game". At this time, Moon is ranked #160 in highest overall earnings, and #22 in highest earnings for players from Korea, Republic of. Moon had won $12,799.73 in cash prizes from 2 tournaments before he turn 18 years old. 2.45% of his total prize money was earned before December 14, 2004. Out of the 128 tournaments awarding cash prizes that Moon had competed in, the largest amount was $38,120.65 from Game-X 2007 on March 11, 2007. His 1st place finish makes up 7.29% of his total prize money won. On December 12, 2006, Moon reached $100,000 in total prize money won with a $20,000.00 cash prize from his 1st place finish at IEST 2006 (WarCraft III). Prize money from 16 tournaments got him to that point. Moon has been awarded $4,470.00 in cash prizes from a single tournament within the last 90 days, none of which came in the last month.